Are we seeing a decline in the UK Construction Industry? After recent events in the UK political scene, many have forecasted a decline in the economic performance of the UK industry starting in 2017. Are the March figures demonstrating this yet? Anglo studies some of the most reliable industry reports from IHS Markit in an attempt to answer this critical question. We review below a series of figures reflecting the state of the economy from a construction and recruitment perspective. The UK Civil Engineering activity is at its fastest pace of expansion so far in 2017. IHS Markit reports that “UK construction companies reported a sustained recovery in work on civil engineering projects during March” as the index is at 53.5 in March, up from 53.3 in February. We expect this is due to a sharp fall in the availability of sub-contractors. Simultaneously, there seems to be a decline in the quality of sub-contracted work and rates charged by subcontractors increased at the slowest pace since November 2016. We are happy to find that “March data pointed to a solid expansion of staffing levels across the UK construction sector, which was generally linked to greater workloads and a rebound in confidence regarding the outlook for client demand. At 53.5, down from 54.0 in February, the seasonally adjusted Employment Index signalled that the rate of job creation continued to ease from January’s 8-month peak". 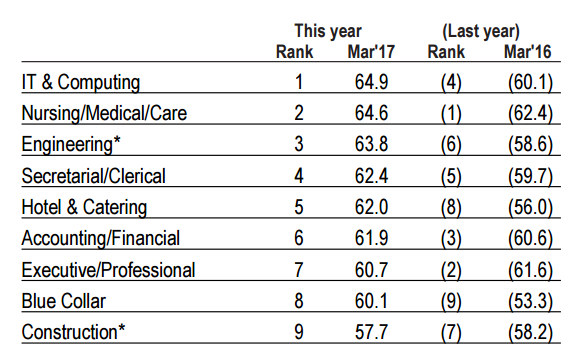 In terms of demand for permanent & contract staff by sector, one of the slowest growths in March, albeit still sharp, was signalled for Construction workers whilst the sharpest rates for growth were seen in Medical/ Care and Engineering (mainly blue collar). We noted a further rise in hourly pay rates for temporary/contract staff in March, as has been the case in each month since February 2013. That said, the rate of pay growth softened to a pace that, though solid, was the weakest in four months. Data from the Office for National Statistics indicated that annual growth of employee earnings slowed to +2.2% in the three months to January. The weaker increase was largely driven by softer pay growth across the private sector. 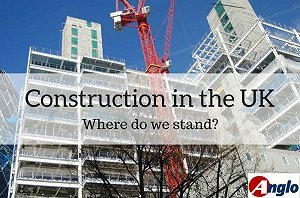 Although these figures are not yet threatening for Construction professionals, it is important to note that the UK construction industry performance indicators for the first quarter of 2017 are revealing a slight decline compared to 2016 figures. Thanx for good article & many tables as picture.